Making a natural edge wooden ring is largely a matter of selecting the right board. Find a piece of wood that still has the bark in place, and that has a nice look. Then, drill the hole near the natural edge so it becomes the focal point of the ring. The ring pictured to the left is made from Maple. I found this piece in a scrap bin for ten cents, and it had enough of an edge to make about 8 rings. That is a very small investment for anyone selling wooden crafts. 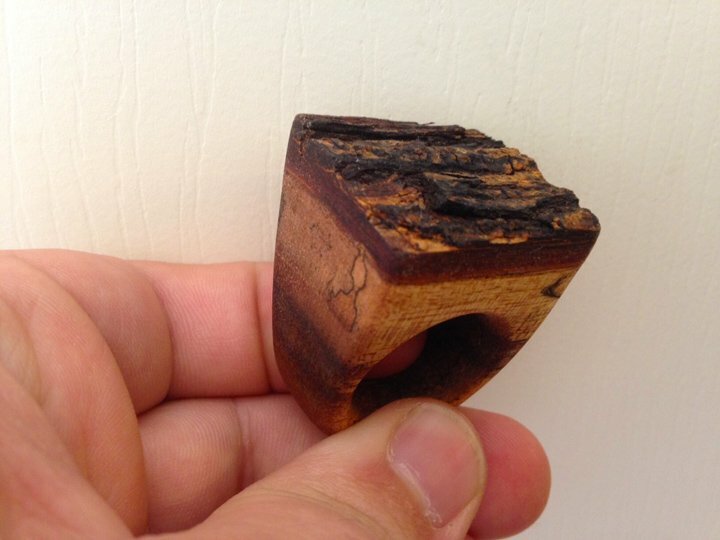 This natural edge wooden ring has a thin layer of bark on the top, and it has a very interesting look. The bark on the edge of the board was angled slightly, and this adds to the look. If you spend a little time in a hardwood store, you will be able to find pieces like this. Most woodworking stores have a scrap bin. 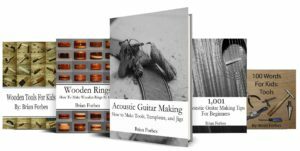 If you are making smaller projects or wooden rings, it’s a huge resource. 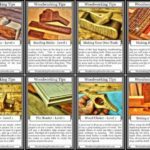 My article on Finding Cheap Wood can show you why. I found this piece of Koa in a bin at a wood store for $8, and it will create about 10 rings along the natural edge. The wood also had some interesting dark streaks and some spalting, which all give their own beauty to the look. 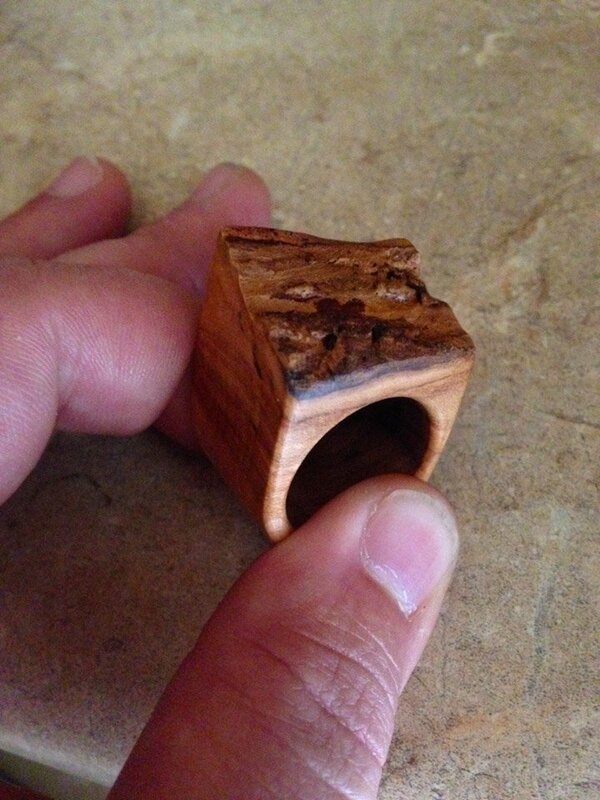 The bark is thicker, so I drilled the hole a little lower to push up the top of the ring. This makes the ring look a little more avant-garde. However, the over the top look can be popular with some of your customers. It is important to have many different offerings when you are selling handmade products. What is appealing to you may not be appealing to everyone. If you have a bigger selection with more styles, you can capture a larger audience. 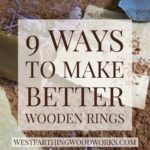 Wood for a natural edge wooden ring is typically less expensive than clear pieces. Woodworkers tend to pass over pieces with bark on them, because it needs to be cut off before using the wood. To them it’s a waste of money. Drill your hole in the correct finger size near the edge of the wood. Then, cut out the rough shape on the band saw. 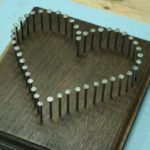 Use a coping saw if doing this by hand. Sand the shape with a belt sander or sanding block, and then taper the ring. The bottom of the Koa ring is narrower than the top, making the bark pop even more. Finish sanding the ring to 400 grit, removing all the scratches. , and apply it following the directions on the can. 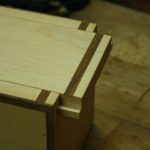 You could also watch my video on Finishing with Tru Oil, or my other video on Finishing with Danish Oil for instructions. 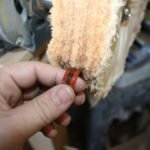 If Videos are not your style, my 10 Step Guide to Wood Finishing can help, and so can my article on Finishing with Tru-Oil. These give the same information as the videos, but you can read them at your own pace. details how to make several laminated rings. It also covers finishing, and other designs. The book is full color, and written for people without power tools. The directions can be followed by anyone, and the resulting rings are beautiful. 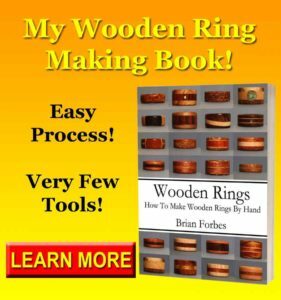 If you have any questions on Natural Edge Wooden Ring, please leave a comment and I will be glad to help. Also, please Subscribe so you don’t miss out on anything.